UNCASVILLE, CT (August 5, 2013) — Rockers Blink-182 are set to bring their huge catalog of hits to Mohegan Sun Arena this September. Opener Taking Back Sunday will hit the stage at 7:30pm followed by Blink-182. It all goes down on Sunday, September 8th. 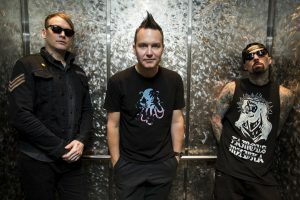 Multi-platinum selling, #1-charting rockers Blink-182 announced several tour dates in May surrounding the group’s co-headlining of The Bamboozle Festival 2012. They will perform live with special guest The All American Rejects on Friday, May 18th at 8:00pm at Mohegan Sun Arena.